As an admission seeker to the University of Ilorin, you may want to know the list of courses available at the university. This is important if you intend to register for JAMB UTME/DE or if you will consider the university’s remedial programme. The post below list the current degree course the school is offering. The courses have been categorized into four; Agricultural, environmental, Engineering, social science, arts and humanity, science and education. If you want to know if this year post UTME is out, read, "UNILORIN Post UTME/DE Form is Out. 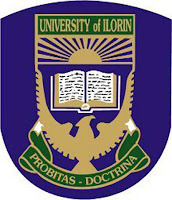 See Procedures, Cut Off Mark, Price and Closing Date"
If you're concerned with other programmes of the university including the postgraduate studies, read, "UNILORIN Admission: Post UTME, Direct Entry, Remedial, Postgraduate, and Others"